Done Rite Party Rentals provides residents in Largo, Florida with the ideal way to host a birthday party. Our company’s Inflatable rental bounce houses and water slides are available for every festive occasion held in the city of Largo (located in Pinellas County.) 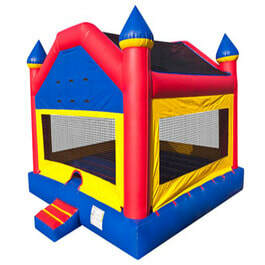 Birthdays aren’t the only events for which we supply our fun filled inflatable moonwalks and bounce houses. Our rentals are also popular with school carnivals, church events, fairs and much more. Some say the city of Largo, Florida was named after a body of water (Lake Largo) when the city was first established in the 1800’s but other accounts claim the city got its name from the city of Largo in Scotland, where many of the city’s settlers had previously lived. Whatever the true story, Largo, Florida has come a long way from its struggling beginnings. One of the best maintained parks located in Largo is Largo Central Park. Done Rite Party Rentals has leased many a party bounce house for setup in Largo Central. The park has an expansive area in which to implement inflatables, such as bounce houses and jump houses. Two other Largo recreational areas are Eagle Lake Park and Taylor Park, both of which are conducive to renting our various bounce rides and water slides. Our rentals are not confined to parks...we can fit bounce rides into backyards or any reasonable space. For an even greater party experience, try renting a few of our fun games in combination with any bounce castle or water chute. 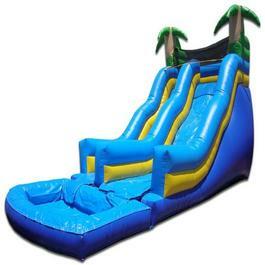 ​Our inventory of inflatables for the city of Largo consists of various themes for our inflatable houses and slides. Our water slides range in sizes adaptable to particular age groups. We offer fun for adults as well as children. 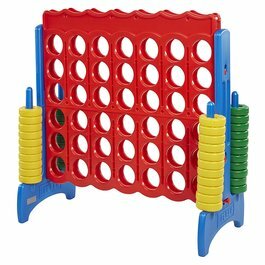 We have an assortment of entertaining games from which you can choose to enhance your party’s level of entertainment. Jumping, bouncing and romping are activities that eventually create a need for a rest period and maybe a tasty treat. 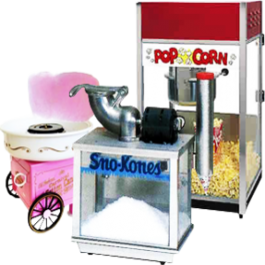 We can supply popcorn that melts in the mouth and who doesn’t remember the flavored cotton candy we all loved while attending a carnival or two? We can help you and your guests cool down with a snow cone. Largo, like all of Pinellas County, can become pretty hot during the summer so it’s important to stay hydrated. We can include cold beverages along with your bounce house choice if you prefer to avoid the hassle of bringing your own drinks. 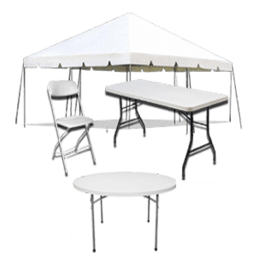 Extras that Done Rite Party Rentals offer to accompany bounce house and moonwalk rental services are tables, chairs and tents. Our inflatable company staff for Largo delivers, sets up and takes down all rented inflatable bounce rides, water slides and all party related items. Timing is of the essence when hosting any event, whether it’s a birthday or any other celebration. On that note, Done Rite makes sure their rental equipment arrives at the appropriate time prior to the onset of the festivity. We can work with your budget and are happy to guide you in your party themes and ride selections. Remember Done Rite Party Rentals the next time you’re ready to throw a party. We are licensed and insured and follow city codes for Largo, Florida.